Currently residing in the Rogers Park neighborhood, both have been long term Chicago residents. 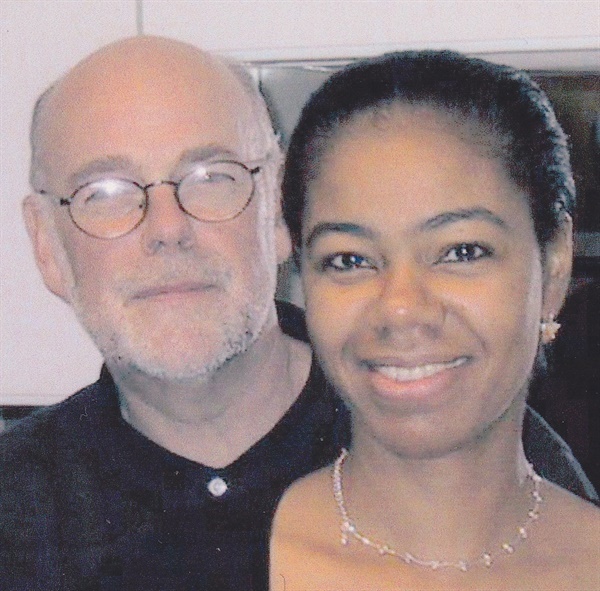 Jim was originally a native of London, England and Jennifer originally from Belize. Working from home in their basement studio, Jim draws on his background as a professional architect and silversmith while Jennifer draws from her experience as an art major and general craft background. Both discovered their passion for stained glass when they took a class together in 2002. While Jennifer is more inspired by representational images of Asian and African figures for large her stained glass windows, Jim’s influence leans toward the geometric or organic and focuses primarily on creating lamps and smaller windows. Both artists have a great sense of color and design, and a flair for interpreting an image into a pattern suitable for glass. Jennifer is also a seamstress and potter, her work is for sale in local stores and art fairs.